Yes tonight is a lovely night to take in a game. 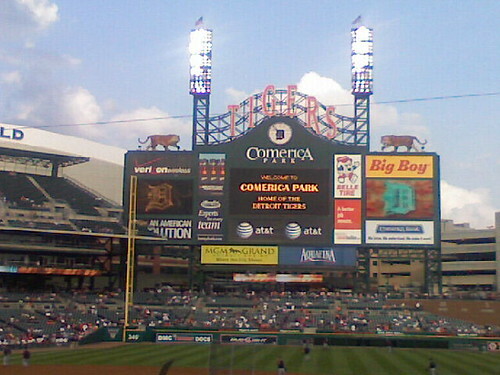 Tonight the Tigers try to avoid being swept by *gag* the Cleveland Indians. I’d forgotten how much I really do heart the ballpark.